I figured it would be kind of weird to write about something you are responsible for because you don’t get the chance to be an actual spectator but I guess despite the view I got, it was my adventure nonetheless. 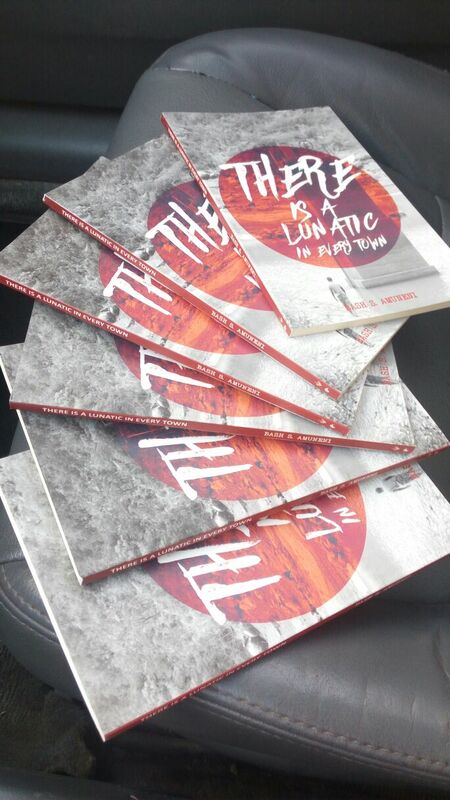 ‘There is A Lunatic in every town’ is a collection of poetry by my dear friend Bash Amuneni and is his first book. It is a book that appeals to the senses and brings to light the truth behind an average Nigerians state of mind, the socio political state of our country and the emotions we lay bare before one another. Each poem is like a piece of a puzzle and I was honoured to have read the manuscript and also plan the launch. I had told Bash this event had to be different from what people were used to and as a spoken word artist he had to do justice to his craft. To my pleasure he gave me creative freedom and with each day, we worked hard to bring his book to life. 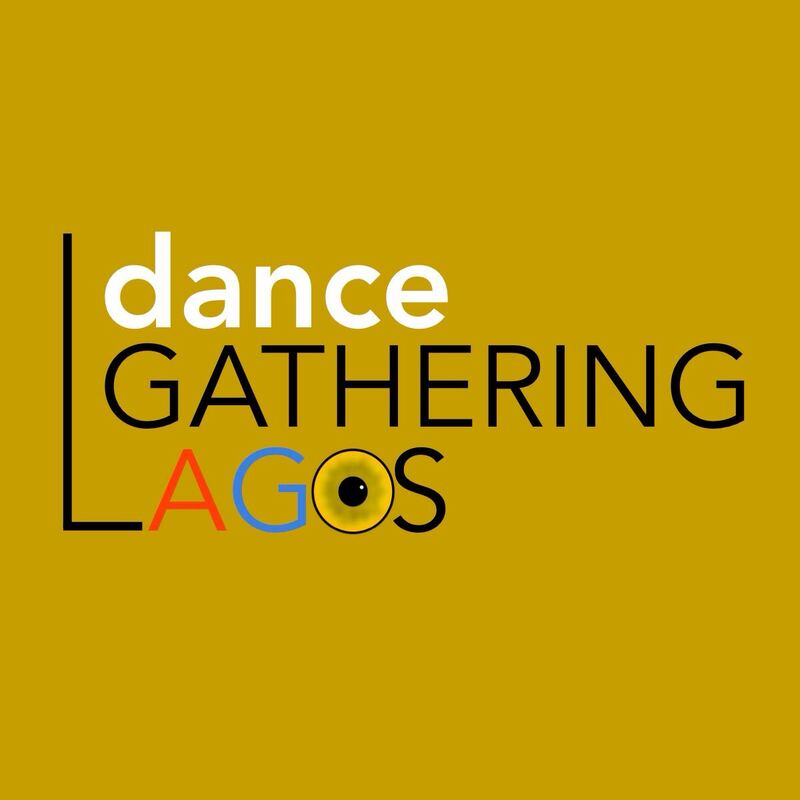 We hand picked some of the most talented people in Abuja to take the stage and by the day of launch, amidst all the things running through my head, I was sure it would be a hit and it was. At the end of it all, it was a success (despite the hitches). Books and tees were sold, contacts were shared, donations were made and I could breathe at last. The madness of the whole project proved that Bash was right, indeed ‘There is a Lunatic in every town’. 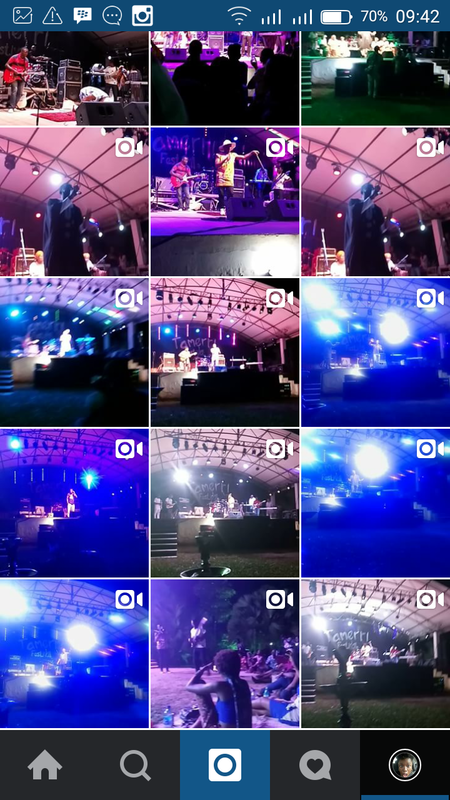 Words can not describe the joy I felt tonight at Bez Live, Abuja but I will try to give a detailed account of it. First off, I should start by saying that the excitement I felt today was at an all time high. When I met Bez before the show (thanks Eddie) I couldn’t find the words, I was in awe but respected myself. No need to ruin the moment with unnecessary talking, lol. I was already pestering Sarah at 3 o’clock, to hurry up, it’s Bez day. We finally got out of the house and were off to the show. I was jumping up and down like a toy on steroids. Some of you may be wondering what the fuss is about but here’s the thing. I’m a pure creative and Abuja has deprived me of quality entertainment, of music that shakes me to my bones and shows that speak to the artist in me. Then Bez is set to take the stage and provide me with what I desperately yearn, after plenty fasting and praying, of course I was excited beyond compare. We were signed in and armed with glow sticks and we made our way to the concert ground. I caught my breath at the sight of the stage. 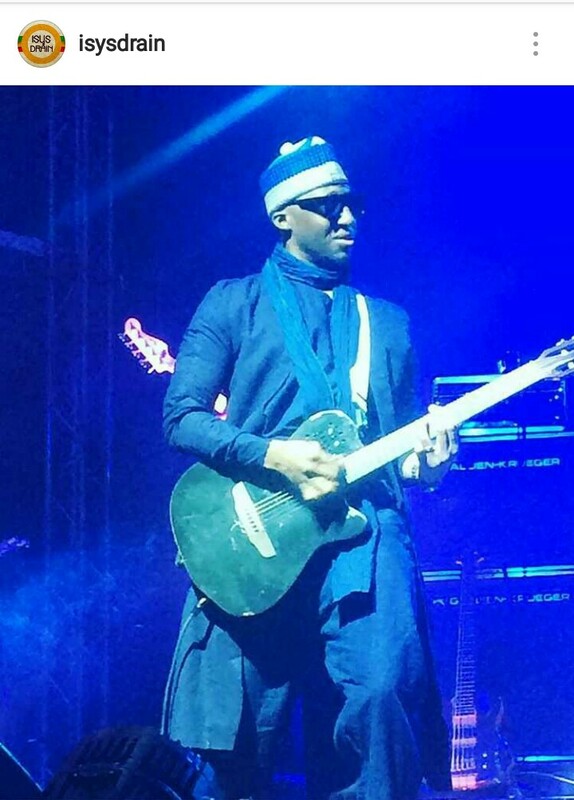 It was a standard concert set up, not those half baked attempts you see at Naija shows,this was the whole 9 yards and then some. At this point, I was more than ready. The audience slowly trickled in and after a few restless minutes, the show began. It kicked off with the cutest rendition of the National Anthem by Bez and his son. Then the ever so soulful Jessica Bongos took to the stage, setting the mood in a soft, yet raspy style for which she is best known. The vibe picked up with Rubunu an artist I have been watching since Tamerri. To say she has grown from her last show would be an understatement and her performance was amazing, as I watched her channel her inner Lauren Hill with a twist of African. The show waited for no one and CEF came on stage to give us some ‘spiritual’ healing, singing songs like ‘Egbami’ and ‘Angeli’ before dropping the love song ‘Piggy Bank’, my favourite song by him. At this point, I was already on my feet and struggling not to completely let loose, I obviously failed at that. I’ve never understood how people can listen to amazing music and not move, dance or at least nod their heads. Moving on. Falana!!! I had heard about her but never seen her perform. To say I wasn’t absolutely mesmerized by her, would be a lie from the pits of my ulcer-ridden tummy. I forgot about trying to stay calm and broke into salsa and bata all at once. She has a full, rich and smooth voice that speaks volumes. A master of her voice and sound, she had every single song in the pocket and brought out the Naija in everything with the prowess of a seasoned artist. I saw nothing but her and comparing her to her somewhat obvious influences, would be an injustice to her originality. Obviously, I am now a fan and a huge one at that. We were given no time to recover from falana, the band had taken to the stage and the build up to Bez’s entry was electric. I was in front of the stage before anyone else and my blood was racing. The drums and horns tugged at my soul and then as I sought to catch my breath, Bez, in all his glory, was on stage. (he’s married, by the way) but because I knew that I was about to experience awesomeness personified. And that was exactly what happened, as he took us on a journey through time, music and the path he has chosen with which to bless us. Every song struck a chord, his voice rich and honed to do more than sing but inspire and for people like me, evoke every single creative juice in my body. It was magical! Might I add that if you haven’t listened to ‘Gbagyi child’ his latest album, you indeed have been deprived of awesomeness. However, because the Lord is good and we live in the 21st century, you can do yaself a favor and go buy ya copy…NOW!!! Now, where was I? Ah ha! The epicness of Bez! So, see ehn, at this point the words escape me, for I feel I’m doing an injustice by even trying to bring his performance to life in words but what can I do? I can’t deny my readers of the gist. It’s hard to have a favourite song when an artist is as amazing as Bez but other than the favorites from the Super sun album, my best songs from the new album are ‘Eternity’ ‘You suppose know’, ‘Zamuce’, ‘There’s a fire’ and ‘Breathe’. All I wanted to do was put the whole stage, Bez and band, in my bag and take them home with me. There was fire, there were stars, there were dancers, amazing vocalists, a band like no other but there, in a cloud of musical madness, was Bez. Zuchiya (I hope I spelt that right) w the breaking for me. It was the first song by him I had ever heard, that one song that spoke of a love I once knew and when he asked for someone to come on stage, well in my usual way, I hid but my friends would have none of that and next thing I knew, I was on stage. I can’t explain what happened next but it was surreal. As I write this, I feel teary because I realise just how much I’ve missed the stage but this isn’t about me. It’s about a show that has caused an awakening in me. The night went on and I was beyond happy. Ha! when the dancers came out, they scattered something. My baby, Adila ringz was the star and I say this without bias. Music runs deep in her and dance is her expression. Princess, Paulette, Uche and Annika, also did the performance justice and I was like a proud mummy watching her babies soar. We did not want the show to end and managed to keep Bez on stage as long as we could but eventually the show came to a close. What a night! I am happy, fulfilled and recharged. This is how a concert should be done, this is the definition of quality entertainment and Bez is surrounded by a team that is family. They worked seamlessly and as a unit to give us the show of a lifetime. I have to duff my hat to Nsikak, he is one sick guitarist and it was nice to see him on stage after torturing us with awesomeness on ‘The Collectiv3’ album. But the one person I can not do without appreciating, who to me was the star of the night, was the man behind the sound, my dear friend, Kelvin Egbegi of Pro Audio. He is passionate about his work and worked tirelessly to ensure we had clean, clear and amazing sound. If you are thinking professional sound in this country, he is the only one I can vouch for. That said, if you weren’t at Bez Live Abuja, I can’t help you. But don’t ever say that great things don’t happen here. This is my adventure, I hope you enjoyed the ride. It is impossible to recover from the epicness that was Tamerri. A concept that was birthed in the incomplete buildings of Mabushi where CEF and Osi toyed with their empty wallets, Tamerri grew from a mere dream to the land of art,culture and soul. 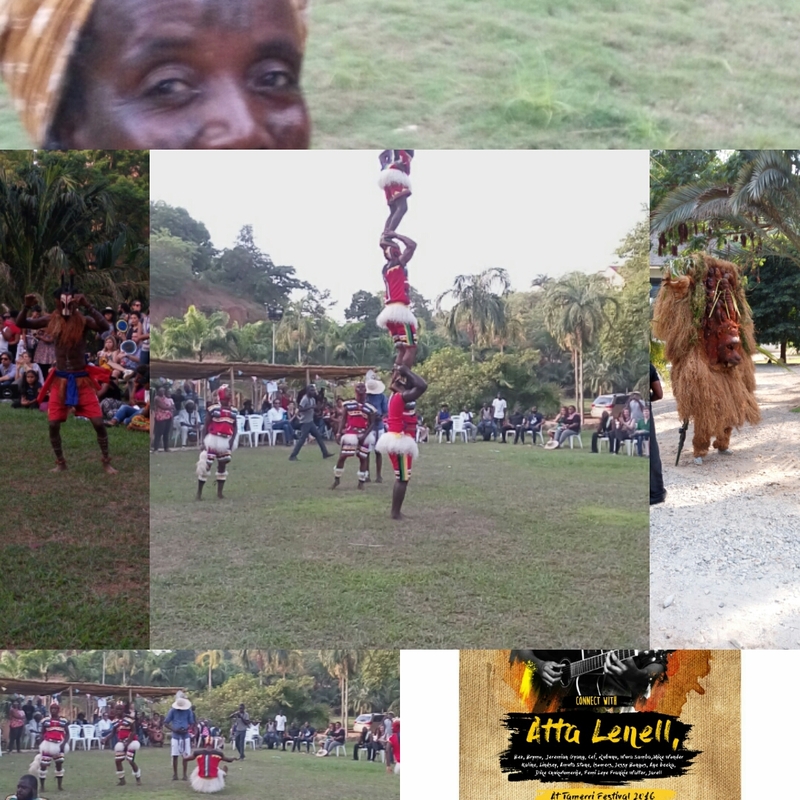 The two day festival was hosted at the Sarius Palmetum Botanical garden in Maitama, a place whose true residents were the bats that came out to play above the palm trees by evening. The space was colored by different vendors and displays from Aso-aje to Domitilla’s photo exhibition. I had never experienced so much of our culture in one place, it brought happiness, joy and a deep feeling of belonging. 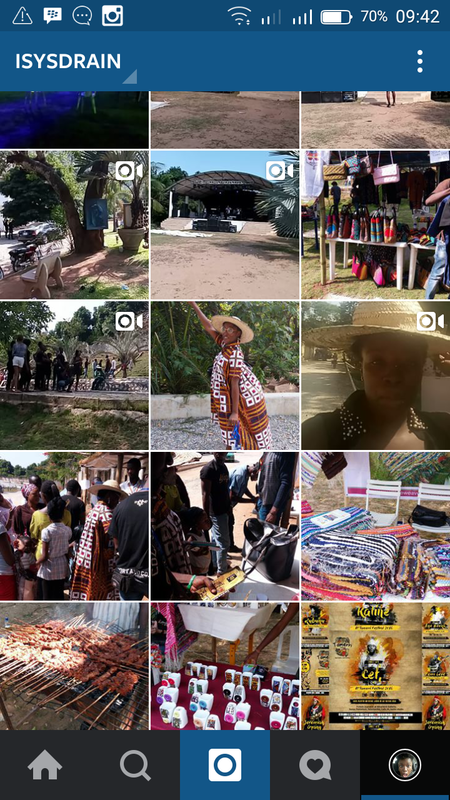 The human library curated the stories of the accomplished intelligent minds, the village market sold us everything from food to what we could Wear, wotclef helps fight child trafficking andthe mornings were conquered by Tai-chi and Troot workouts, Tamerri really was the place to be. Day 1 of the music concert started out with Jarell Ebuka ,who had us pleading to make his babies while he played on Farida (his guitar) but then Femi Leye said, my people boogie with me and boogie we did!!! The spoken word artists captured my heart with Omo Awe taking us home to Africa Ukoh introducing us to the all seeing I(eye) and Yaasky’s evolution of words. Bez and Age Beeka took us on a journey and the crowd went berserk! Fast forward to day two, the cultural displays by various troupes were spectacular, with masquerades of different shapes and size, the Tamerri fashion show was opened by a group of kids with remarkable talent, Niger wedding crooners (which I found creepy and amusing) and then models hit the matted runway while we munched on dates and kola, trust me it doesn’t get more cultural than that! The show ended with the music concert which was opened by The Isomers and ran through my favorite alternative artists, Atta Lenell, Jessica bongos and Lindsey abudei. But the dancing began when Mike Wonder dazzled us with the indomie soundtrack courtesy of his bass guitar and Jeremiah Gyang tore up the stage with his women’s band (zummutan mata). As though it weren’t enough we consumed the words of Africa Ukoh who said I am not black but and I am African then Dike Chukwumerije the father of spoken word took it home and said tribalism is the same as racism, must I go on? The night ended with Brymo’s amazing yet short performance and the spiritual scattering of the movement that is CEF, who put his love in the piggy to make sure that Tamerri became the land we experienced this weekend! Shout out Team Tamerri, imagine tamerri a place to be but experience the Tamerri State of mind. I will this, it you weren’t Tamerried this weekend then you haven’t lived my friend. Warning: This adventure is full of selfies! So Sarah invited to me a customer’s/friend’s wedding in Jos. I wasn’t doing much this weekend so I accepted the invitation. We packed our bags, did some last minute Waka and hit the road to Jos around 4pm. I armed myself with a book by Jeffery Archer, ‘Not a penny more, nor a penny less’ and started it as we headed out. The journey started as expected, Sarah and I singing along to our favorite songs as we navigated maraba/nyanya traffic. Then I nibbled on cheese balls and flipped through the pages of my book, Jeffery Archer always has me hooked from start to finish. I was about 5 chapters gone by the time we hit the outskirts of abuja. As it got darker and harder to read, I snuggled into my seat. At some point we got off a bridge and eventually came an intersection. We noticed that our driver hesitated before taking a left turn and we asked if he was sure about his whereabouts. He said he was and we returned to what we were doing. 2 hours later, we noticed that the road had gotten quieter, bumpier and there was no sign of life. The driver insisted he knew where he was going but when we looked out for sign boards and found one soul to talk to, we realized we’d been going in the wrong direction for ages. We probably would’ve ended up in Sokoto! We headed back to the intersection where we’d made the wrong turn. By now we were fuming, hungry and tired, after driving aimlessly for three and a half hours. After stopping to ask for direction every couple of miles, we eventually got to Jos. The hotel was in a place called Reyfield and was surprisingly very nice. We didn’t get to do much though, we’d missed the dinner and it was almost midnight. We sat with bride and helped her choose what jewelry to wear courtesy of Saayers, munched on a random piece of chicken and dove under blanket to sleep off the exhausting ride. Cut to the wedding, it was lovely. At the church I got to experience ‘Zumutan mata’ for the first time which is the local women’s choir. After dancing the bride into the reception and I had given my number to a besotted young man, we found ourselves a guide and hurried back to Abuja. It was a shame I didn’t get to spend more time in Jos but the little time I did spend was lovely enough and the veggies I bought on the way back made a mean stir fry. I’ll definitely be back. With that anticipate the last entries of the My 2015 series, Rage and The Weekend Line-up.